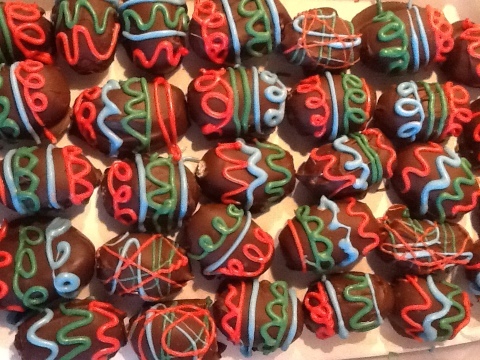 Better than Cadbury Easter cream eggs! | ARTZCOOL'S BLOG! Better than Cadbury Easter cream eggs! 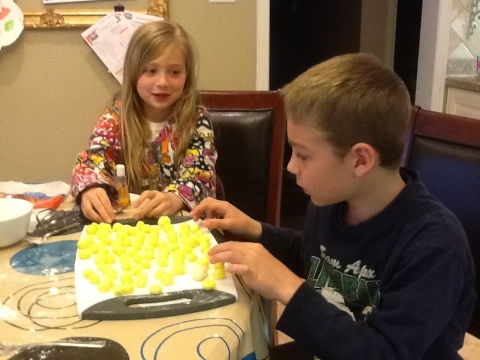 I have made these Easter eggs for the last 10 years… At least! I love them because they are so sweet! 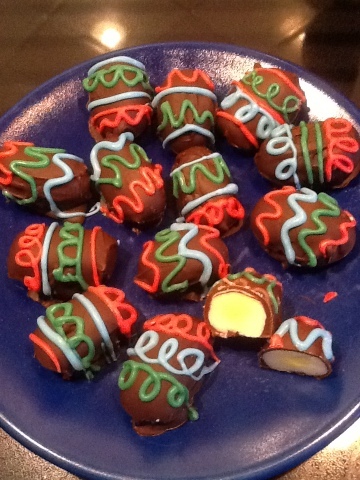 They are very similar to the cream filled eggs, but better! The thing that I like the most is that I know exactly what is in them. This recipe makes about 100 small eggs. I used to make them a lot bigger, but trust me, they are very rich. We cut them into slices! 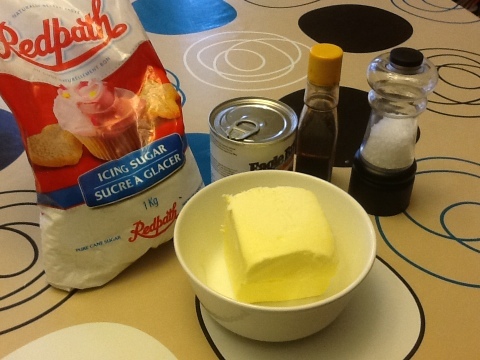 Start by mixing together the condensed milk, butter, vanilla, and salt until creamy. 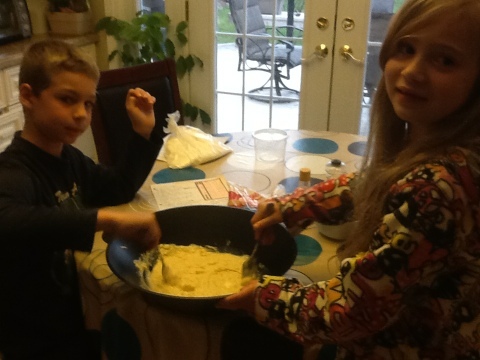 As you can see, I had helpers. 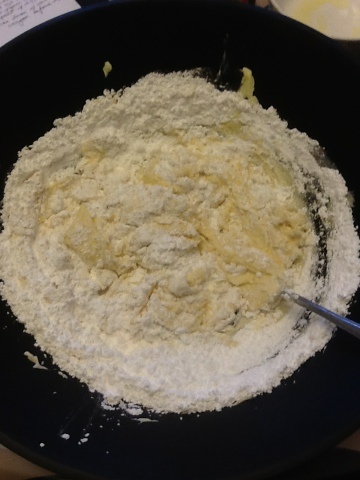 Then, I keep adding a cup of icing sugar at a time until it isn’t sticky anymore… I think it was 10 cups, but as you may know about me by now, measuring is not my strong point. I’m more of an estimator. 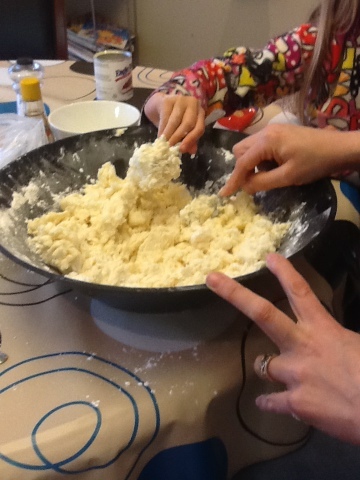 When you think you have added enough icing sugar, add another cup, roll up your sleeves, and start kneading. 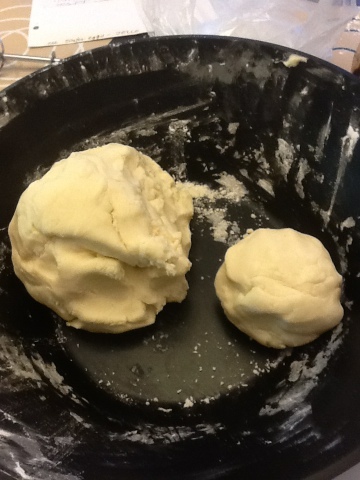 Once you have kneaded enough to gather all of the dough to form one big ball, pull apart about 1/4 of the ball to use for the yolk. 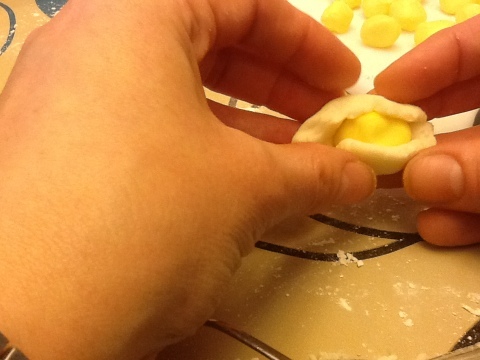 Add a few drops of yellow coloring at a time to the smaller ball, and knead in until you have the yolk colour you want. The kids counted 20 drops this year. 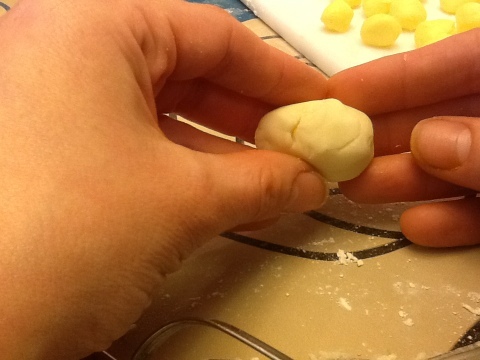 Then, depending on the size of eggs you will be making, roll the yellow dough into little balls in the palm of your hands. The kids were great at this part. 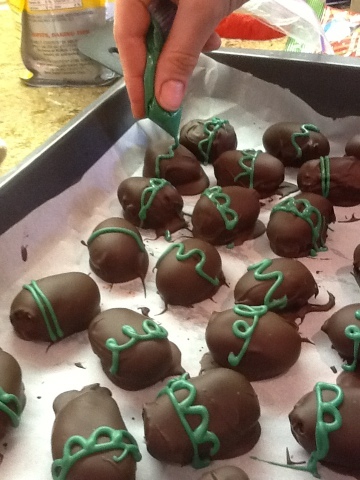 We made our balls the size of small marbles. 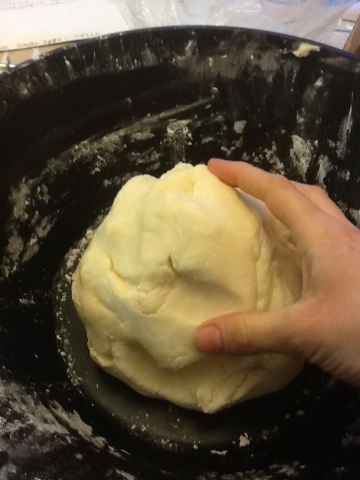 Then, to make the egg whites, take some white dough, use a bit more than double what you used for the yolk, flatten the white dough in your palm and place the yolk in the middle, then wrap it around the white. 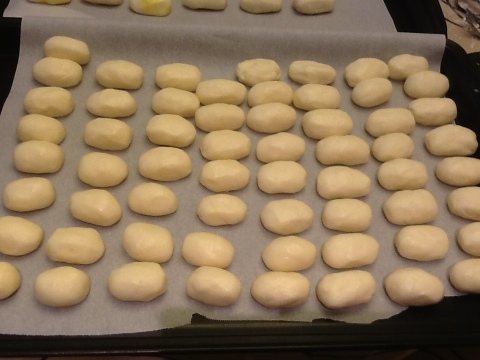 Repeat this until you have used up all of your dough… We made our eggs fairly small this year, so we ended up making over 100. One thing I still have not mastered is the proportion of yellow to white. Every year, I have to make a couple all white, or all yellow “lucky eggs” because I have run out of white or yellow. I lay them out on cookie sheets lined with waxed paper. Let them cool in the fridge for at least an hour before dipping. 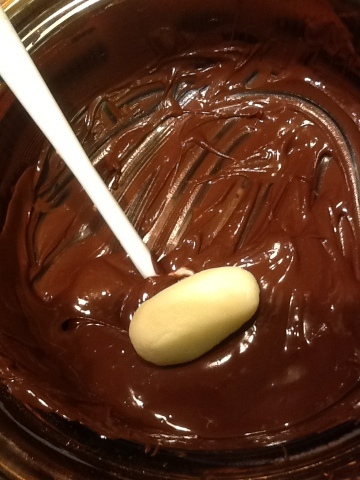 Then, after they have cooled, melt some chocolate on a double broiler. 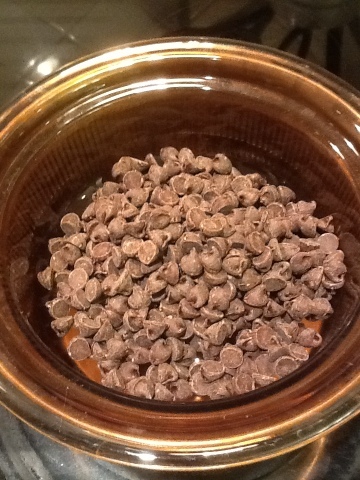 I use chocolate chips, or I have also used those solid chocolate Easter bunnies that are on sale everywhere now. 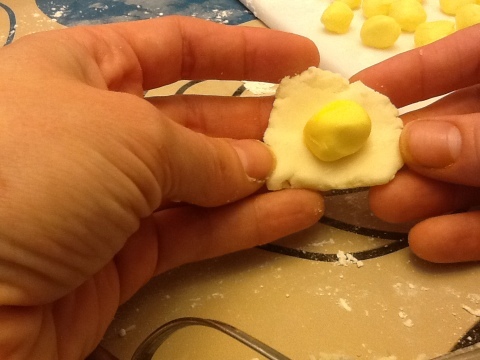 Dip each egg individually, then lay them out on the waxed paper to cool. 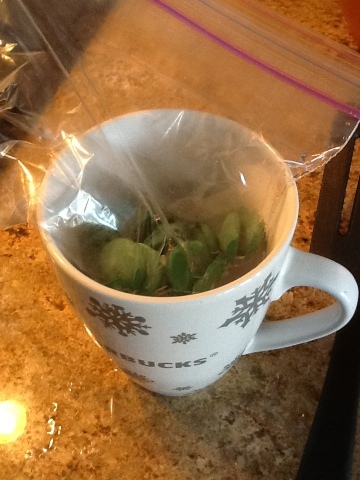 Then, pour some hot water into a mug or bowl, and put in the bag of chocolate. Keep massaging the bag and putting it back into the hot water until all of the chocolate has melted. 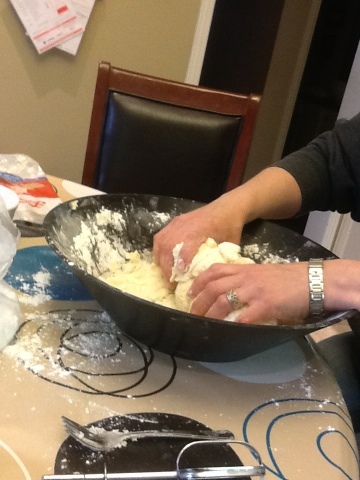 Then for the cool part…snip off a tiny corner of the bag, and squeeze! If you cut the hole small enough, you can be quite detailed. If you have any chocolate left over, just let it harden, put it into a new ziplock bag for the next time you need it. 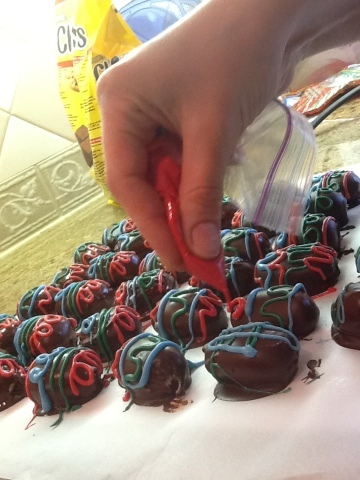 Once you are finished decorating, that them cool again in the fridge for another hour. Then to store them, I line an airtight container with waxed paper and stack them in layers with waxed paper dividing each layer. 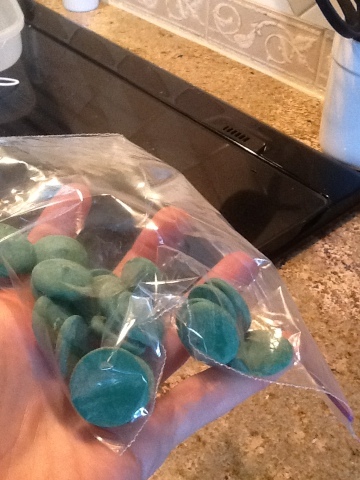 You should keep these in the fridge, they are good for a few weeks…but I’m not exactly sure, because I don’t think I have ever had them last for that long! Wow, incredible blog layout! How long have you ever been blogging for? you made blogging look easy. The entire look of your site is magnificent, as well as the content material! I do trust all the ideas you’ve offered to your post. They are really convincing and can certainly work. Nonetheless, the posts are very brief for beginners. May you please extend them a bit from next time? Thanks for the post.